← We Need A Name For This Puppy! Just wanted to send you a quick update on Pearl; she is doing great! She is getting very good at coming when we call her name, sitting and occasionally will do “down” too! 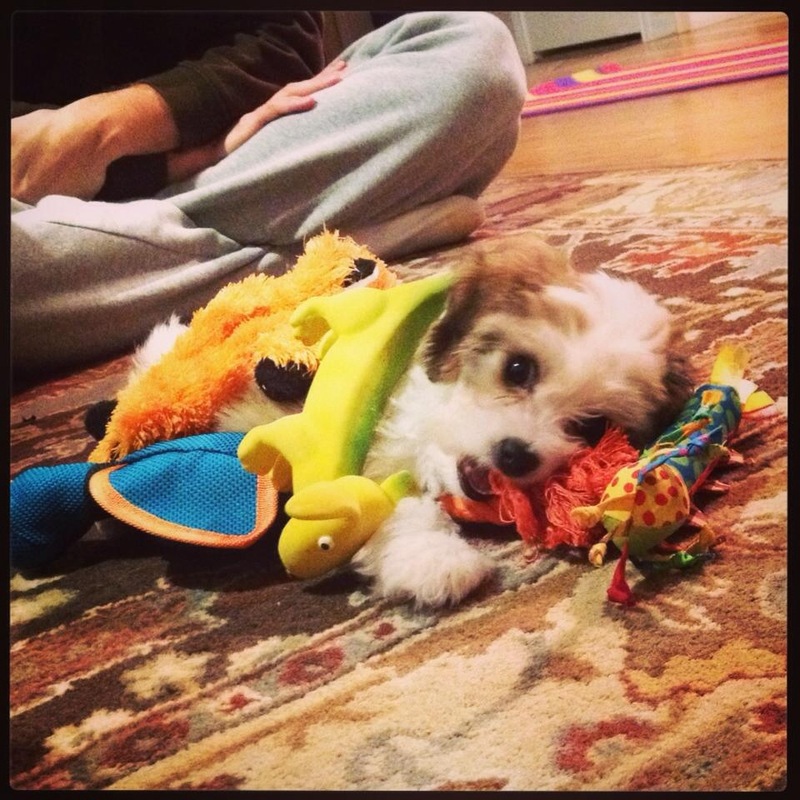 She is super energetic and always wants to play…it’s hard to get puppy cuddles unless we completely tire her out, ha! She is also doing great in her crate; sometimes even sleeps through the night before crying to be let out. Of course it’s been a challenge as well (her biting/chewing, having accidents occasionally) but we know it’s part of being a puppy and we are learning too! She will be 12 weeks this Sunday and I know you said it would be time to start leaving her in the crate versus the puppy zone in order to continue the house training. I know it’s the holidays and crazy but if you could spare maybe 10 minutes for a phone call I would really appreciate some advice!!! Just want to keep Pearl on track! ABSOLUTELY! I’d love to talk with you. Please call any time! !